From 75 to 92 € the night I book ! 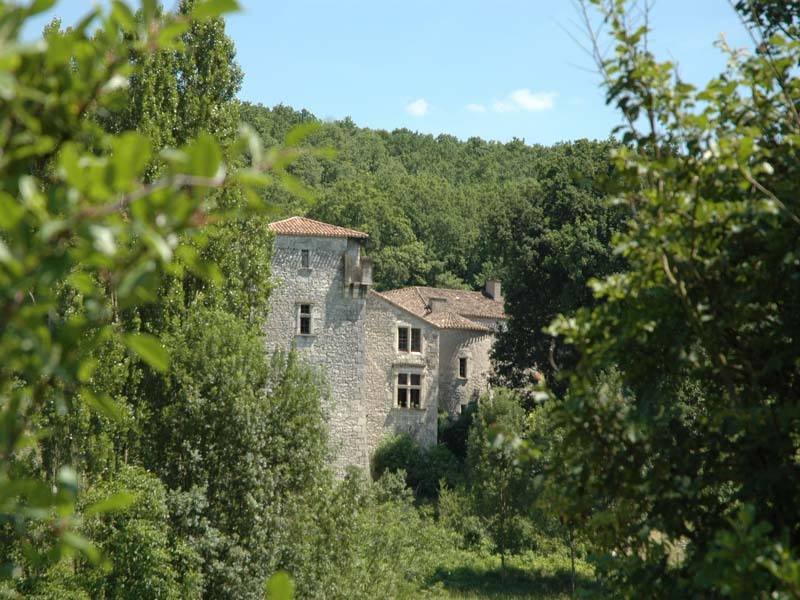 In the Quercy and Gascony area, this 'quercynois' 13th to 16th century fortress forms part of an organic farm. Infinity swimming pool. Comfortable rooms, traditionally furnished. One suite includes a private lounge at the top of the tower with a superb view. Delicious, healthy, traditional cuisine with vegetarian meals on request. Warm, friendly welcome in this haven of tranquility..
- visite de la ferme et dégustation des agneaux produits en bio. 1 suite and 4 rooms with bath and WC. From 78 to 110 euros (2 pers. ), 92 euros (3 pers.). Extra bed 20 euros. The closest station is monsempron libos, located at 15 km. The closest airport is Agen, to 50 km.